Tom Dove is a writer and photographer based in Annapolis, Maryland. Annapolis calls itself "America's Sailing Capital" and that's about right. 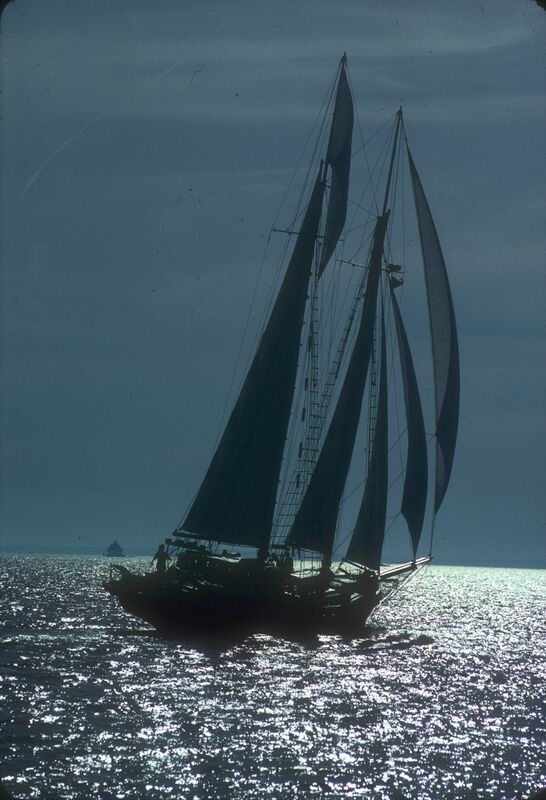 It is connected to recreational sailing like no other place in North America and you can find any sailboat dealer, supplier, event or craftsman you want here. Naturally, there are lots of powerboats in this city on the Chesapeake Bay, too. Tom plays 12-string guitar and his wife, Kathy, plays Dobro. They sing traditional and modern folk music in local jams and song circles. Tom's primary career was teaching physical science, biology, photography, graphics and computers, most of it at Bowie High School in Bowie, Maryland from 1967 to 1993. Retirement from that did not mean he stopped working. 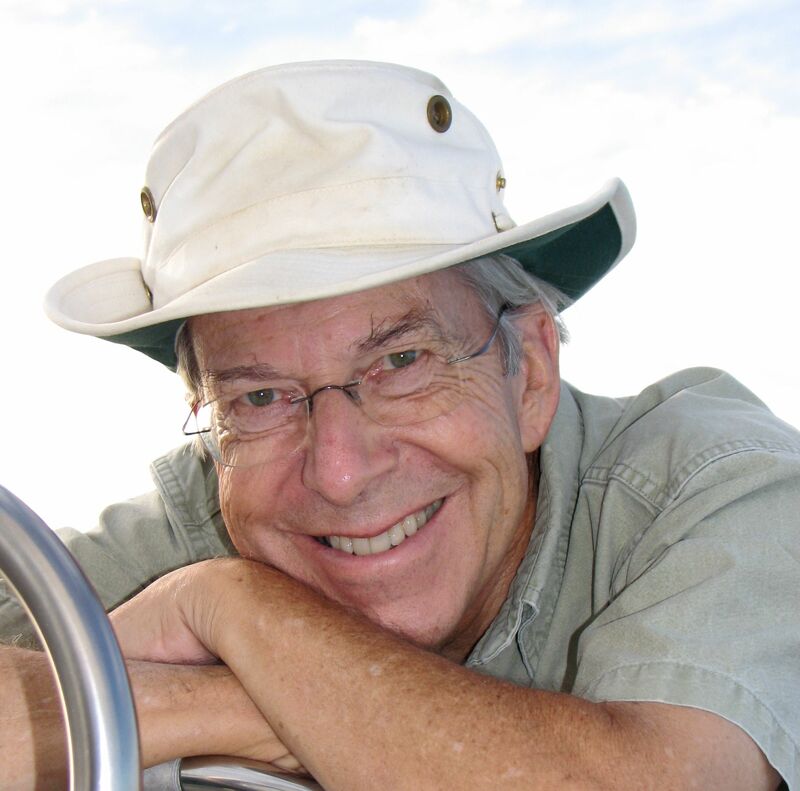 Tom has been a professional journalist for SAIL Magazine, Chesapeake Bay Magazine and many other boating publications for more than 25 years, with a total of more than 1000 published articles. He has written and edited travel guides, cruising guides and two books and also worked on a PBS television show. Assignments have taken him over much of the United States and Europe. Check the Categories to the left to share interests. It was so fun to find your page. I was one of your students wayyyy back in 1977-78. I changed careers over 10 years ago, and have been teaching High School Digital Photography for 10+ years. Never found anything so fun and rewarding. Hoping I leave a legacy like you did. Thank you for being a part of my story. Hope you’re well. Great to hear from you, Ralph, and thanks for the kudos. We just bought a nicely renovated 1977 Grand Banks 32 in Florida and expect to bring it back to the Bay (Kent Narrows) after next winter. It would be fun to get together. Tom, wife Lynn and I have sort of kept up with you through your magazine articles. We now live on the Eastern Shore just above Rock Hall. Getting ready to purchase yet another old boat and agree and enjoyed your Chesapeake Bay magazine article. We would love to see you sometime in the near future. It’s my pleasure — really! I have been googling your name regularly, but for some reason I have not been able to connect until now. I hope you remember me, and hope we can meet up sometime- as I am regularly in the US/ Maryland (my oldest daughter Emma (14) lives in Severna Park). School night, and I need to put my two younger kids (Sanna 6, Carsten 8) to bed, but hope to hear back from you! Hello Mr. Dove – just wanted to thank you. I was in your photography class a lifetime ago – 1973. Photography and journalist became my profession. I have you to thank for that. I hope life has been good to you. Looks like you have continued to pursue your passions. I just read an old post from Oct 2012 about liveaboards. Thank you for sharing I enjoyed it and I will be sure to read more of your posts. I’ve been a liveaboard in Marina Del Rey, CA for 8 yrs. And looking for my next adventure.